The foundation to a successful career and building a solid body of work is good quality training. AIPA encourages performers in Australia to take regular classes with professional teachers who are qualified and experienced. Anyone can open a drama school or dance school in Australia, but few can boast the guest and resident academic staff AIPA can. AIPA offers a fantastic three-week residential intensive for teenagers simply called “Best Camp Ever”. We are pretty sure that you won’t find anything better anywhere else on this planet that is as intensive, fun or draws the caliber of staff that we do for this project. They are truly second to none. Tutors are drawn from Australia, the US, the UK and other countries depending on their expertise. 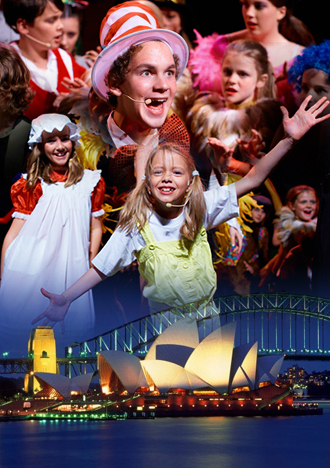 Students can choose from “The Actors’ Conservatory”, “Musical Theatre Review” or “Stunt School Australia” www.bestcampever.com.au Programmes include all meals, accommodation, transfers in Australia and tuition.